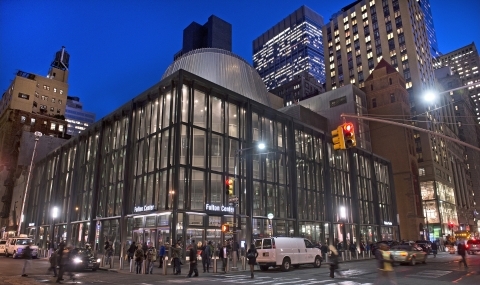 Represented Westfield Corporation in the retail leasing of Manhattan's Fulton Center. Fulton Center is one of New York City's largest transit hubs - approximately 300,000 people travel through it every weekday. Represented Racebook Capital Partners in the acquisition of the Ruffian Equine Center at Belmont Park, and the leasing of the facility to Cornell University. Represented Avant Capital Partners in connection with more than 15 loans made through its ongoing lending program. These loans varied in amounts between five and ten million dollars, and were secured by all types of real estate assets. Represented Essex Capital in an $18.5 million loan made by The Union Labor Life Insurance Company. The loan is secured by a mortgage on borrower’s ground lease interest in a residential building located in Brooklyn. Represented Cipriani in the leasing of its banquet facility at 25 Broadway. Represented Carpe Real Estate Associates in the acquisition of a six property assemblage in Miami, Florida. Represented an investment trust advised by Clarion Partners in the $55 million sale of Durham, North Carolina's Palladian Corporate Center, to a fund managed by Innovatus Capital Partners. Represented Essex Capital in a take-out refinancing from Investors Bank secured by a newly constructed multifamily apartment building in Ridgewood, New York. Represented Oases Real Estate in the sale of its right to construct 40 condominium units over a working post office on the west side of Manhattan. Represented a privately-held real estate holding and property management company on the $27 million sale of the ground lease of a high-rise Manhattan residential building.